Since I am a huge fan of philosophy skincare and bath products, I wanted to share one more thing that I was able to try out recently that definitely deserves notice. 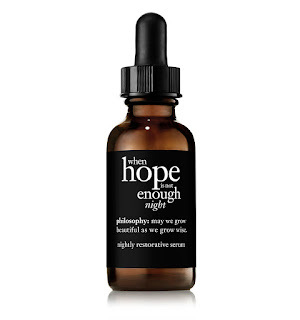 It is their when hope is not enough night: nightly restorative serum. This serum helps to provide the skin with a strong protective barrier that is essential to its health and youthful appearance. The silky smooth serum works in harmony with skin's nightly regeneration process to help rebuild a stronger barrier and deliver smoother, more supple replenished skin with more even and youthful-looking tone and texture. This product works well on the skin because it is a natural source of omega 3*6*9 blend that is so important for the body, mind and skin. It restores supplements and cushioning of the skin and increases skin's moisture retention. This oil also reduces redness and sallowness of the skin. This product contains exactly what it needs to to get the job done. On my skin this product helped to create a suppleness and softness that just reiterated what was already there. My skin felt hydrated and moisturized where needed and definitely luminous and fine lines disappeared. For me this is more of a preventative serum than a treatment. I prefer a prophylactic to a treatment any day. 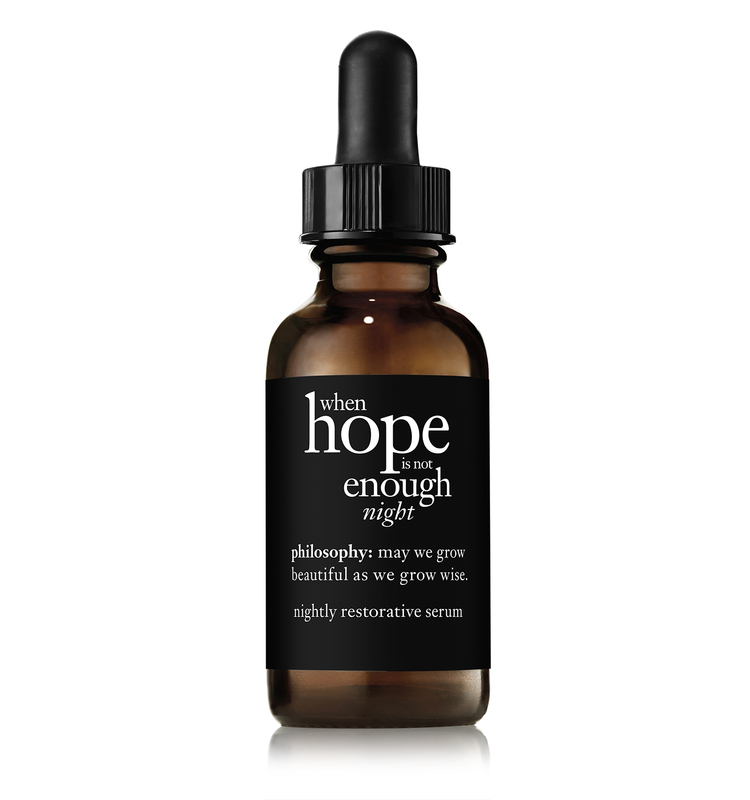 philosophy when hope is not enough night retails for $50.00 and can be found online at www.philosophy.com and at www.ulta.com. It can also be found where ever philosophy is sold. Like philosophy on Facebook: https://www.facebook.com/philosophy; Follow philosophy on Twitter: @lovephilosophy; Follow philosophy on Pinterest: https://www.pinterest.com/lovephilosophy/; Follow philosophy on Instagram: https://www.instagram.com/lovephilosophy/ and Subscribe to philosophy on YouTube:https://www.youtube.com/philosophy.